today is the last of the China Crinkled Chromes that i have to share... Don't Be Foiled! 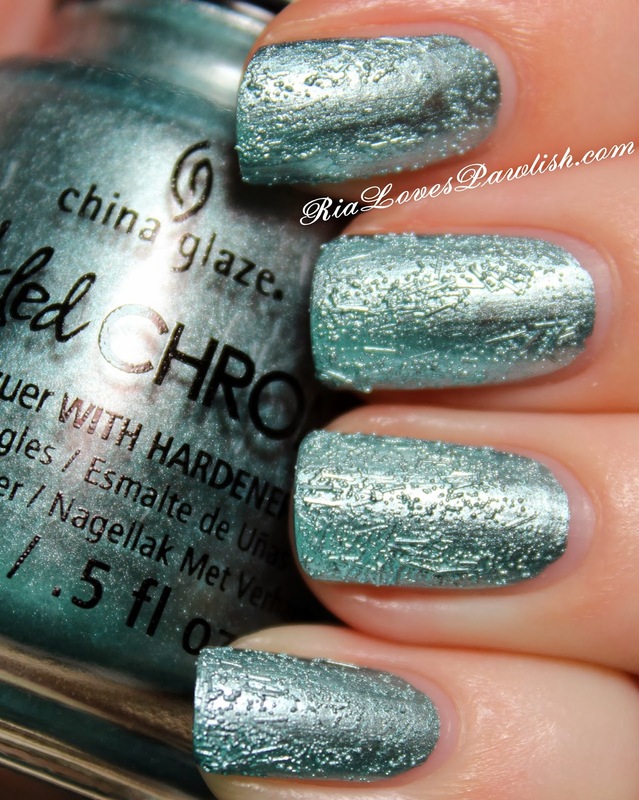 (all three Crinkled Chromes shared on the blog are press samples, kindly provided to me for review!) it's probably my favorite of the three, it's teal :) as with the others, it has a chrome finish and in addition to normal texturing, it also has bar glitter to add to the visual interest! only one coat needed for full opacity, you might need to add more for more texture, though (you can see some patches without texture that i didn't notice until my DSLR got involved)... and my fave part, no topcoat! one coat Don't Be Foiled. i hope you all enjoyed seeing these Crinkled Chromes, i certainly enjoyed bringing them to you! will you be picking any up? a big thanks to the company for sending them to me!